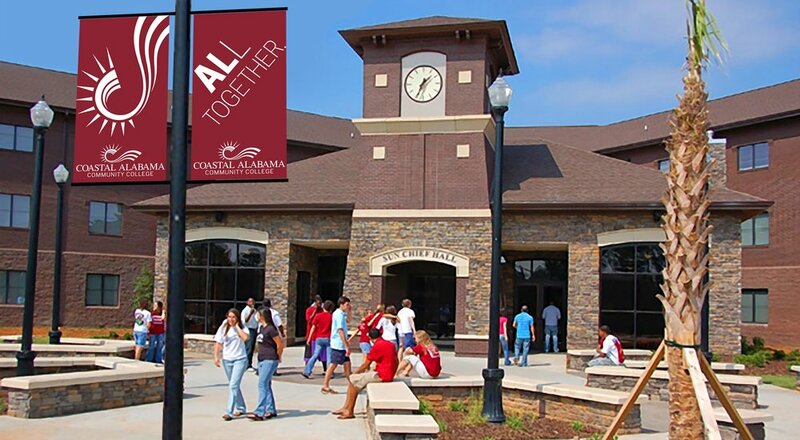 WDM’s engagement with Coastal Alabama Community College began with the consolidation of three long established and successful institutions in southern Alabama. This new college would need to be sensitive to the communities that were proud of these now consolidated colleges, yet at the same time begin to carefully craft a new narrative that would extol the many benefits of the consolidated institution. The WDM Brand Process was a perfect fit to bring the three colleges together and begin this delicate process. All Together is a call for unity. The campaign is designed to be all-inclusive and all-encompassing of everything the “new” college has to offer. With 15 locations and a broad course offering — a staggering 100 majors from which to choose — students can see themselves here and feel confident that they are making the best choice for their future. This positive and fun campaign hits home with a unique message that can only belong to Coastal Alabama Community College. All Together.